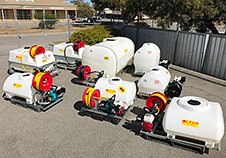 Rota Moulding have a extensive range of tanks to suit the application of liquids on seeding machinery. A nice 400l CFU that will fit across the tray . The flag ship of the Plaka Boats range. Over 150 on the water in use. Used for liquid fertiliser cart, general spraying, Nurse tanks, general liquid carting.chassis of a boom spray or liquid cart. 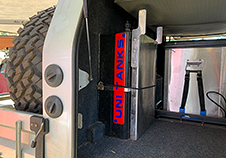 A large range of rectangular poly tanks that have 1000's of uses. For example Caravan, Campers, 4WD, Utes, Buses, Boats and lots more. Rota Moulding produce a complete range of fire fighting units to suit many applications. 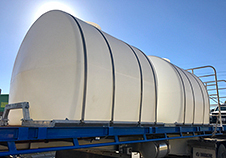 4000L, 6000L and 8000L Flat bottom cartage tanks ideal for water and liquid fertiliser. Rota Moulding is an innovative moulding company in Perth, WA. One of the first companies to introduce rotationally moulded process into Western Australia. Over the years, attention to our customers exacting needs has seen the business grow to become the trusted name in the Agricultural and Industrial sectors. At Rota Moulding, we’re confident of our ability to produce innovative solutions for our customers. Over 30 years of practical experience, and a commitment to quality and value, go into every product that we design, develop and manufacture. Rota Moulding go to great lengths to ensure our moulded products are as safe and as reliable as we can possibly make them. Rota Moulding is a family owned business that develops and manufactures in Western Australia. All the raw material and many of the ancillary components are sourced from Australia manufactures. Rota Moulding has a vast range of propriety product from boats to boom spray tanks. The catalogue continues to grow weekly. One of Rota Moulding other specialities is moulding customers own products, having an extensive mould making facility. Rota Moulding can guide the customer through the whole process from an idea to reality. 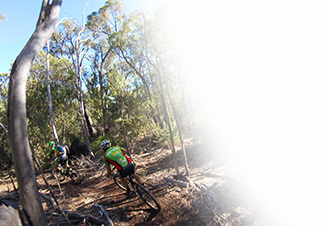 Rota Moulding supporting the community through MTB event support.